Patagonia Rider has already more than 15 years of experience on guided tours and motorcycle rentals.Our main office is located in Punta Arenas, Chile and our services run between September 15th to March 15th which is the spring and summer period of South America. Many people dream of undertaking an unforgettable trip through South America. But for most it will always be a dream because of the logistics and administration required for a trip like this. Patagonia Rider can help you make your dream become reality by doing the long and difficult planning process for you. We founded this company on our passion for motocycling, for freedom and discovering different cultures.Here we tell you more about our principles on which we became one of the best companies for motorcycle tours and rentals in South America. Patagonia Rider plans tours all over the South American continent. We respect and learn of its diverse cultures, religions and gastronomy. Establishing longtime friendships and relationships with our partners is one of our goals and a key to providing a unique experience to our coustomers. For Patagonia Rider distances does not exist. We want to make sure that each kilometer traveled with us will be a unique and unforgetable experience. 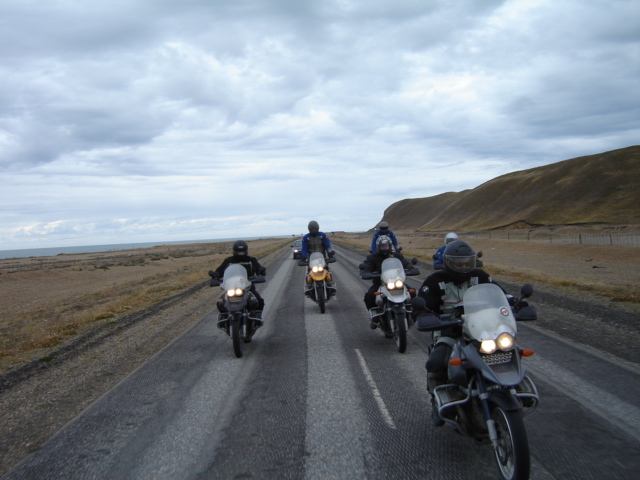 Our guides are experienced motorcycle riders and have an extensive knowledge of South America. They speak several languages which allows them to assist you in any time of the tour in any situation. This makes your tour save and enjoyable as possible. The tour itineraries of Patagonia Rider are designed for adventurous riders who likes to visit the most beautiful places in Patagonia. They are created for travelling alone or with a companion. Based on our long travel experience we improve our tours each season. Our fleet of BMW-GS motorcycles consits of new vehicles or last model. They are totally equipped with two suitcases, heated handles, ABS break system, tank bag and they are all in an excellent condition. All the lodgings we book for you are thoroughly checked in advance every year to make sure they are on the same high level that we expect for our customers. We have partners all over the countries we visit with our tours and work together with them for many years like Hotels 3*, 4*, 5*, Estancias touristicas, Hosterias and Boutique Hotels. We know that for an authentic experience it is very important that we do not form big groups for our tours. For that reason our space is limited to a maximum of 10 motorcycles. This creates the nice atmosphere of traveling with a group of friends. You will never be a number on our tours!!! All the tours of Patagonia Rider are guided by at least two guides: one riding a motorcycle with the group and the other escorting the group with a support vehicle. This will carry your luggage and any purchases that you may get during the trip.